Cuyahoga Valley is one of the most visited national parks in the country, and also one of the most unique. 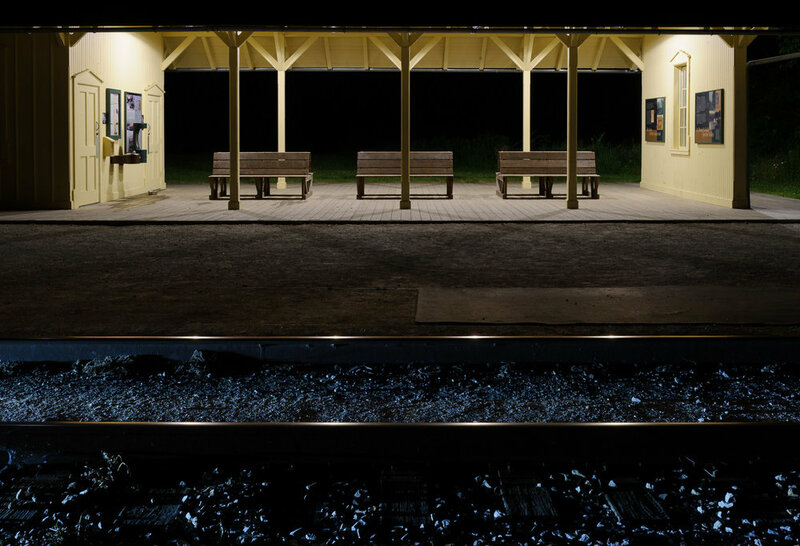 It combines stunning natural scenes with rural features, such as railroad depots, farms, historic structures, covered bridges and old cemeteries, granting the photographer a nearly endless buffet of subjects to photograph at night. This was a 5-night, 6-day workshop. The adventure began at 10 a.m. on May 7 and ended on May 12 in the afternoon. This five-night, six-day photography workshop takes place in one of the newest and smallest of our National Parks. While not too far from the urban centers of both Cleveland and Akron, Cuyahoga Valley National Park is a step back into both nature and time. The winding Cuyahoga River flows through this 51 mile-long park, which includes landscapes as diverse as sandstone ledges, rolling hills, open farmlands, river gorges and over 60 waterfalls. Because of the types of subjects this national park offers, this workshop will be light-painting-intensive. Cuyahoga Valley typically experiences pleasant weather in the late spring, with average daily temperatures of 70 degrees and nighttime of 48. The workshop is intended for people who feel comfortable shooting their camera in Manual mode and who have the ability to download and export their images using Adobe Lightroom. Night photography experience is not necessary, but a familiarity with your camera, tripod, lenses and equipment is a must. Early afternoons will find us sharing and learning in the classroom with lectures or critiques, while evenings and nights will be spent shooting in the field. Some nights we’ll spend time in two separate locations while other evenings will find us settling into one spot for the night. Locations may include the beautiful Brandywine Falls, Everett Road covered bridge, Indigo Lake Train Station, Boston Mills, Beaver Pond, Blue Hen Falls and Hale Village. While in the field, the instructors will demonstrate their own techniques and will work with participants one-on-one to ensure everyone gets the most out of the workshop. 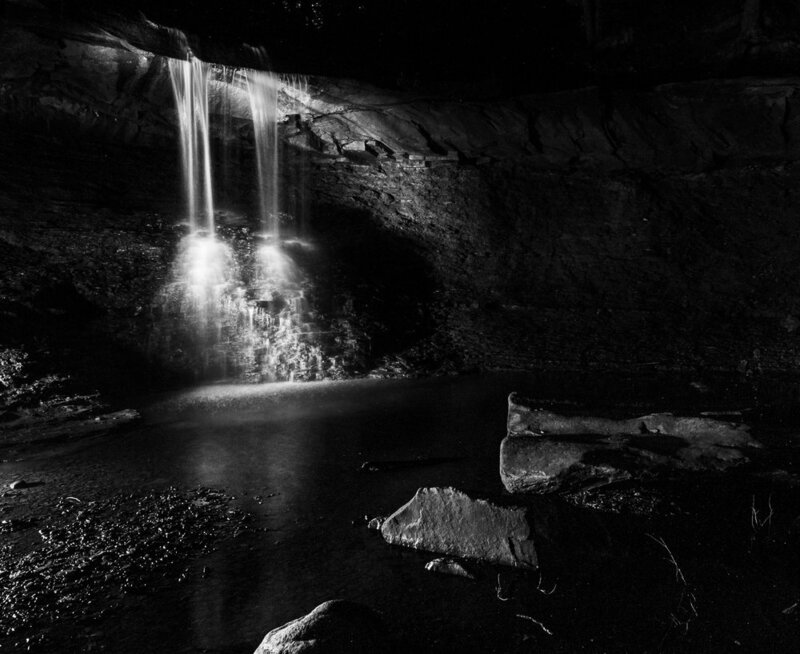 This workshop is for anyone who is interested in exploring Cuyahoga’s varied landscapes while gaining a deeper understanding of night photography and painting with light. Making new friends, learning new techniques, having fun and bringing home some epic images is guaranteed! The workshop will be based in Stow, Ohio, located on the southeastern edge of the park. We have secured a block of standard rooms at Courtyard by Marriott Akron/Stow. Once you make your workshop deposit, you will receive a code that can be used to reserve one of the group rooms. The group reservation is for seven nights—checking in Saturday, May 6, and checking out Saturday, May 13. The workshop begins Sunday, May 7, at 10:00 a.m. and ends Friday, May 12, at 5 p.m.
Last spring I visited Cuyahoga Valley National Park. It’s a different kind of park, with a more rural, historical aura than most of its peers. You see a lot of people during the day, and a lot of houses, and a lot of cars. It has golf courses, and ski slopes, and art galleries, and farmer’s markets, and a winery. It’s very much alive as not only a place to preserve, but also a place to live. This is because Cuyahoga Valley is a relatively new national park. Not long ago it was a national recreation area, and not long before that it was in danger of losing its chance to be any kind revered wilderness. As recently as the 1980s, rusty junked cars and auto parts littered what is now Beaver Marsh, one of the most lovely places in the region. In another spot, a field of toxic waste barrels leaking sludge onto the ground stretched to the edge of the forest, polluting what today is a beautiful meadow. I planned a night shoot for Beaver Marsh, and as is my custom, I arrived a couple of hours early, in late-day light. I shot for a while, scouted a bit, and then sat on a bench along the boardwalk listening to leaves rustle in the spring breeze as songbirds flew from tree to tree. At one point an older man approached, and we started talking. He told me he grew up in the area, in one of the many houses that the National Park Service has since purchased from residents in an effort to reclaim as much property as possible. He left soon after, and I stayed alone in the darkened wetlands, doing not much photography, more just sitting, watching and listening to the night. Under a full moon I could see the silhouettes of beavers gliding silently in circles along the surface of the water, while a barred owl hooted in the nearby woods. I too am glad they saved this place.